El tema "31 minutes to takeoff" interpretado por Mike Posner pertenece a su disco "31 minutes to takeoff". 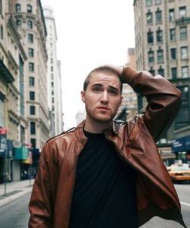 Ahora puedes escuchar y aprender la canción "31 minutes to takeoff" de Mike Posner. This was just a matter of time. We would end up saying goodbye. Before you - try to shoot me out of the sky. Escuchar Mike Posner 31 minutes to takeoff Lyric Video.